The Office of Student Records manages and maintains all academic records of all active and former medical students. Our mission is to provide access to these records in a timely manner, manage student registration, monitor student compliance with various requirements (e.g. Infection Control, OSHA/HIPAA, BLS, etc), and ensure that students have met all academic requirements prior to graduation. 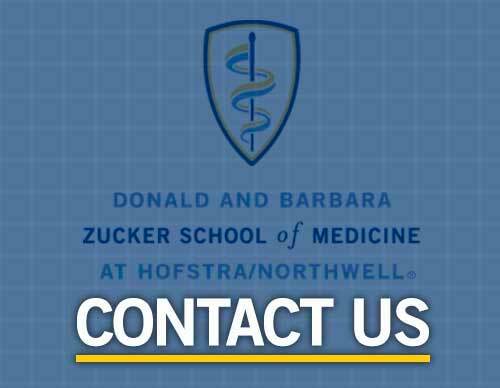 Please note all residency and fellowship verifications should be directed to the Office of Academic Affairs at Northwell Health , 516-465-3192.
Letters of enrollment verification or good standing can be requested by filling out the enrollment verification form. Requests will be processed within three business days of receipt of the completed form. To request a name change, please fill out out the Change of Name form. The form should be returned to the Office of Student Records, accompanied by appropriate documentation.